They should refund people who ordered Law. I for one am looking forward to getting the Law statue. So far the product from F4F has been superb. So Law sales aren't where they need to be to go into production. The quantity is too low. Law went up before either King or Jin were received which I believe wasn't ideal. Now that the majority of Kings and Jins are now in the market place, we would love to re-open the Law sales to see if we can get some more orders in. Law's sales were at a time when we only did a 2 week period. In this day and age, it would have been kept open. I will also ask the CS team to contact those that actually bought Law to let them know the situation and should there be an increase in quantity - we will offer them their money back if they aren't happy about that. If you aren't in the F4F Club guys go and join and show your support in the Law thread! BUT more importantly if you want this line to continue and the chance for characters like Yoshi and Nina to be made BUY a Law EX when he goes back for sale. I'll post the link as soon as he goes back up. Honestly if you want a Tekken line and haven't seen King or Jin yet go back int his thread look at my pics and reviews, this is a fantastic line that isn't getting the attention and the praise it deserves. Just a heads up guys F4F are re-launching Law and will be opening the PO's again. So anyone who picked up King and Jin and would like to see the line continue and hopefully expand with Yoshimitsu and beyond here's your chance to show F4F that we want more Tekken and we want Law. We apologise for the delay in communication, but we now have some TEKKEN MARSHALL LAW updates for you. You are receiving this email because our records show that you have placed a direct website preorder with us for TEKKEN MARSHALL LAW. 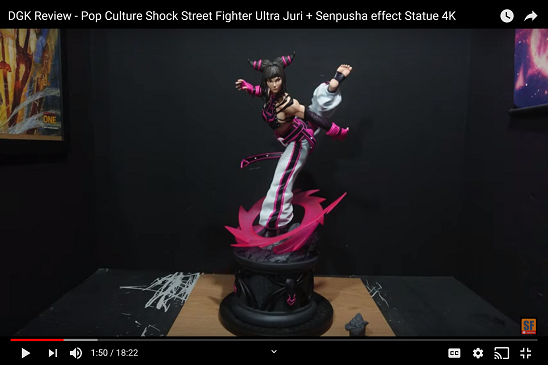 We would like to say thank you for supporting our latest TEKKEN statue from our TEKKEN Resin line. Unfortunately TEKKEN MARSHALL LAW did not meet the minimum order of quantity to go into final production with the factory. Due to the nature of the current preorder status, this would mean the TEKKEN MARSHALL LAW project would be cancelled and thus come to an end. However since the release of TEKKEN KING and TEKKEN JIN KAZAMA that are now both out into the world and in collector's hands with praising reviews for many months. After a lengthy internal discussion, we at First 4 Figures felt TEKKEN MARSHALL LAW deserves one LAST CHANCE! Today, we are very delighted to announce that TEKKEN MARSHALL LAW preorders will reopen for one last time. 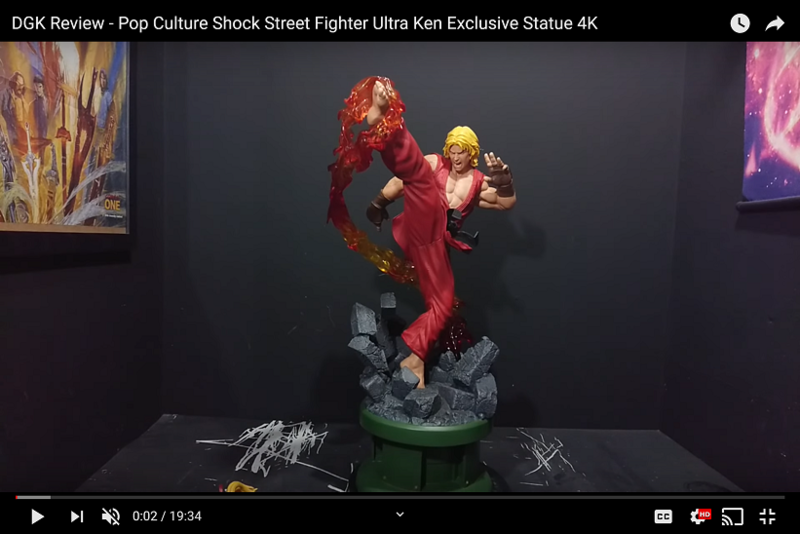 This decision came about after continuous feedback and support in and outside of our First 4 Figures Official Collectors Club. First 4 Figures is and will always continue to listen to Fan feedback and we would love to have your support and understanding at all stages for every project we work on. We cannot thank you enough for this outcome. If you wish to see TEKKEN MARSHALL LAW resin statue in your collection, we hope you agree that awareness and support for the TEKKEN line are key essentials to making this a reality. NOTE: This update is to keep all TEKKEN fans in the loop and there is nothing else you are required to do with your current TEKKEN MARSHALL LAW preorder/s. For wait list orders, it will be converted automatically. For those that have been following closely on the subject, we hope you and many TEKKEN fans will find this news update to be exciting and overall positive. If you would like to share your thoughts, please continue to voice out in our First 4 Figures Official Collectors Club on Facebook. From everyone at First 4 Figures, we THANK YOU! Stay Tuned for more TEKKEN updates! Hopefully we'll get to see Yoshimitsu and Devil Jin…..
Ok all you Tekken fans time to put up or shut up. This line is awesome and needs your support so those of you who did not order before now have the opportunity to do so.